Parapanda Theatre Lab Trust (PTLT) started as a theatre group in 1994. Initially known as Parapanda Arts, the group was started by two theatre students of the University of Dar es Salaam; Mr Mgunga Mwa Mnyenyelwa and Ms Mona Mwakalinga. PTLT was registered under the National Arts Council. Since inception, PTLT has become one of the best training institutions in theatre with specialization in children, youth theatre and Community Theatre. 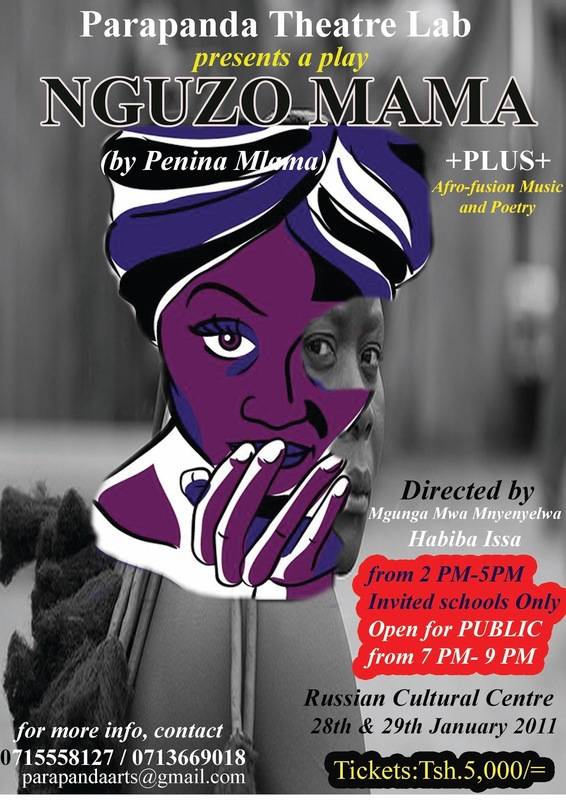 It has run several workshops and seminars for young theatre artists in collaboration with various organizations such as AMREF, Plan International and Family Planning Association of Tanzania. More ever PTLT has among members, reputable and well-known theatre facilitators who have worked with various international organisation such as Forum for African Women Educationalists-FAWE in Tanzania, Kenya, Rwanda, Ethiopia, Namibia and Senegal. Others are Unicef, GTZ, French Embassy and World Vision. 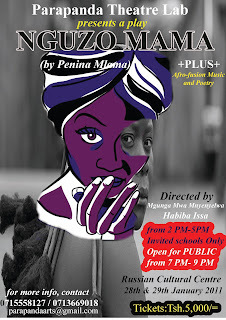 Parapanda distinguishes itself from other theatre practitioners by its original narrative theatre based in story telling, poetry and music. Its creative power is rooted in people’s traditions hence making it relevant to contemporary Tanzania society. For ten years now, Parapanda has been dealing with crosscutting issues from political to cultural such as national pride values etc. Its innovative spirit is within a cultural context. With several theatre awards granted to PTLT more individual as well as theatre groups have been requesting to work with PTLT or get artistic assistance. Some groups have gone to the extent of replicating PTLT style. On the theatre audience Development, PTLT have laid a good foundation by starting to change people’s attitude towards theatre. Slowly through its productions, people have started to realize the necessity of theatre and theatre-going culture and following is slowly being built as demonstrated by observed increases in number of people attending the theatre shows. Despite a lack of purpose-built theatre facilities in the country, PTLT has used available spaces and media to reach bigger audiences. For example, the recorded poems, aired on Radio and Television have had an impact on the lives of very many people. A large database for members of Parapanda Family was created whereby in each performance members of the audience would fill special forms, which provide them with opportunity to access further information about Parapanda through the Internet. Lastly, PTLT has an advantage of being the first production based theatre organisation to have a well-furnished office space and theatre studio. The space with communication facilities such as telephone, internet, audio-visual systems and offices has given Parapanda a strong image in the eyes of the public hence making Parapanda a model of theatre progress in the country. The board, which governs policy implementation of organization, comprises of competent personalities of five people under the chairmanship of Ms Mona Mwakalinga who is also one of the founder on the organisation.